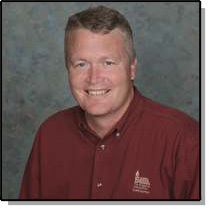 Dr. Styles is a Cal Poly alumnus and director of the externally funded Irrigation Training and Research Center (ITRC). He teaches Principles of Irrigation, Hydraulics, and Agricultural Structures Design. His current research interests include the emerging electronic flow measurement technologies.